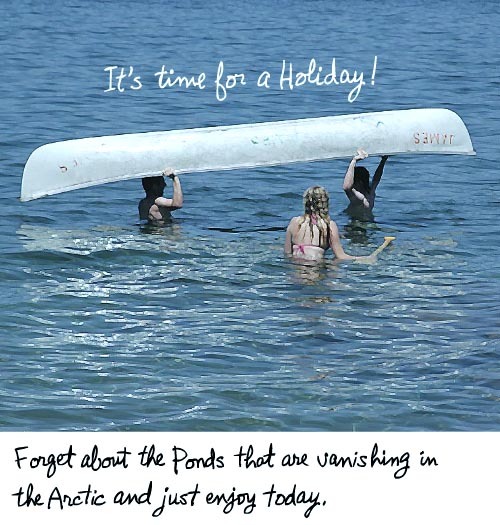 And yet news that ponds in the Arctic are vanishing broke this week. Water that has existed for thousands of years is disappearing, and scientists are sounding the alarm in a new report. While I know that the toll from climate change is mounting, this news (as reported in the Globe and Mail) makes it even more real and present. Well done! A poignant reminder that so many of us are living for today and yet the climate crisis is never taking a holiday. Are we fiddling while Rome burns? I fear that is so. I’m paddling as fast as I can! Love the post. Brings back fond memories and yet reminds me of how fragile it all is. Keep up the great work.